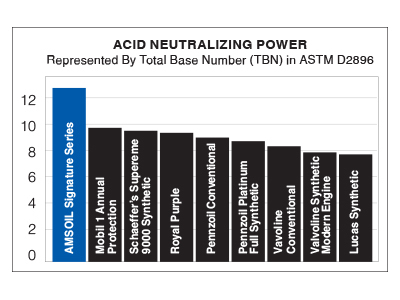 Founded in Wisconsin, AMSOIL is a company at the heart of snowmobile country. Did you know the snowmobile was invented here in our state? It’s true. Carl Eliason brought to life his idea of a “motor toboggan” in 1924 and the rest, as they say, is history. Today the upper Midwest is a mecca for both devoted sledheads and casual snowmobile enthusiasts alike. We, too, are winter enthusiasts who fervently await the first snowfall. 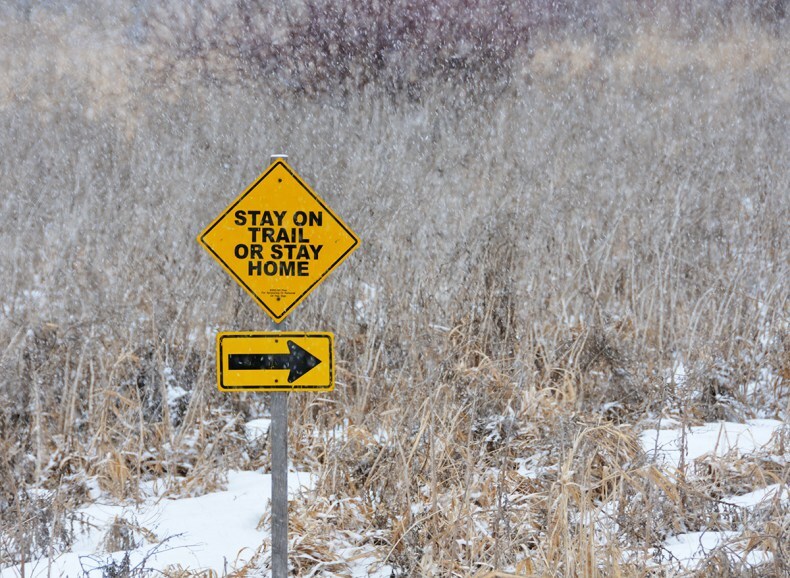 No matter the destination, thousands of miles await sledders eager to hit the snowy terrain. In honor of winter’s arrival, we put together a list of snowmobile-friendly locales for our readers living in or traveling to the Midwest in search of an epic trail ride. Known as the “Snowmobile Capitol of the World,” Eagle River is home to a 500-mile trail network that is meticulously maintained by local snowmobile clubs and volunteers. There is breathtaking scenery and an endless supply of local hospitality. There’s a reason it’s been ranked several times as ‘Best of’ in various categories from national publications. It’s also home to the AMSOIL World Championship Snowmobile Derby that draws thousands of spectators to the region each year. Before you go, find a full list of area trails here and check out current conditions here. 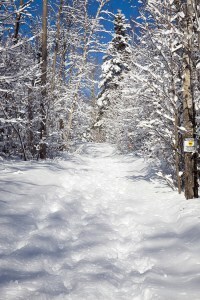 Connected to Eagle River trails, St. Germain is a natural segue way for snow travelers hopscotching throughout the region. With groomed trails stretching hundreds of miles and a local snowmobile-club-sponsored Trail Patrol, St. Germaine offers excellent riding conditions that draw thousands of travelers each year. Find helpful links on resorts, rentals and trail conditions here. 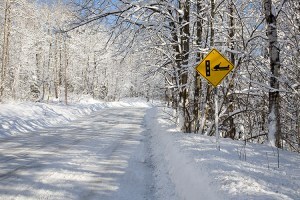 Home to one of the largest trail systems in the nation, Cable offers more than 1,200 miles of interconnecting snowmobile routes that weave throughout the Chequamegon National Forest. It’s known for its quiet and solitude among nature’s best scenery. Find everything you need to know about this route here. Just along the Michigan border, you’ll find a place that sees a yearly average of 200 inches in snowfall over 500 groomed trails and 175,000 acres of off-trail forest land. Along the way you can catch views of 200 lakes within a 30-mile radius among fellow snowmobilers making their way through old mining towns in the region. Find more info on what Iron County has to offer here. The U.P. of Michigan has earned legendary status among snowmobile enthusiasts from all over. With more than 3,000 miles of groomed trails, it’s been voted Most Scenic, Best Powder Riding, Best Trail Riding and Best Overall Snowmobiling Area by readers of Snow Goer Magazine. For those looking to put their skills to the test, it also holds the title of Most Challenging for its technical trail offerings. The U.P. 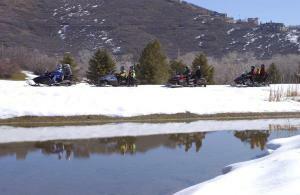 caters to snowmobilers with decades of experience hosting avid enthusiasts no matter what terrain they’re in search of. You can find all things related to planning the perfect Michigan U.P. trip here. Some call this snowmobile district the best-kept secret in Michigan. 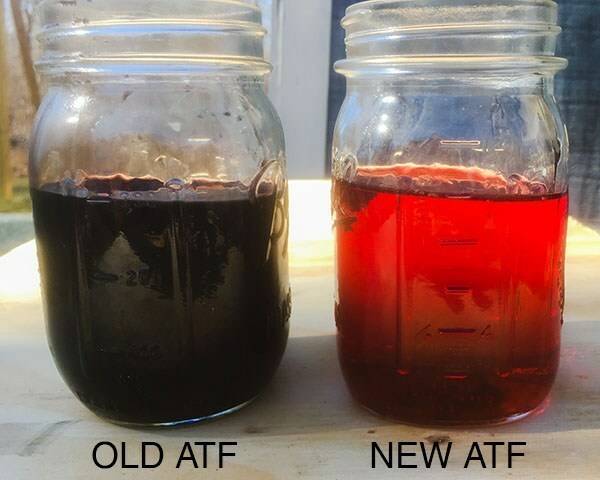 Located in the western U.P., it features hundreds of groomed, connected trail miles that weave throughout the forest and local scenic overlooks. The route possibilities are endless, whether riders are looking for a day trip or an overnight adventure. 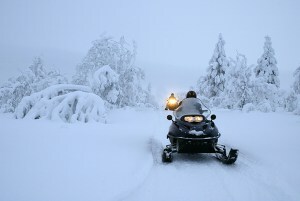 Check out this website for everything you need to know about this picturesque snowmobiling region. Located in the lower peninsula, Gaylord averages more than 180 inches of snowfall each year and offers more than 300 miles of groomed trails. It’s also home to the annual Michigan Snowmobile Festival, where fellow enthusiasts unite over runs, music and good family fun. You can plan your entire trip, including trail maps and live snow cams, right here. A starting point of the legendary Paul Bunyan Trail, Brainerd Lakes is a hub to snowmobilers descending on Minnesota looking for a great route. Spanning approximately 120 miles, the Paul Bunyan Trail leads north past the Bemidji, Minn., region with well-groomed trails and several snowmobile-friendly stops along the way. Find maps, trail markers and all the stops you need to plan for here. This list wouldn’t be complete without mentioning Bemidji. Situated at a crossroads for two of the state’s largest trail-system routes, Bemidji trails can lead sledders anywhere in the state they wish to go. There are lakes, streams, bogs and rolling hills that offer beautiful scenery in any terrain. Plan your route here. Minnesota’s North Shore is well-known for its scenic landscape no matter which method of transportation you’re using. Snowmobiles are no exception, with well-groomed trails spanning from Duluth to Grand Marais amidst the backdrop of mighty Lake Superior. Numerous local trails connect to the main state trail so riders can veer off and explore the hidden wonders of backwoods Minnesota. Right here is where you can find everything you need to start planning a scenic ride through northern Minnesota. A little farther West is an up-and-coming snowmobile hub in the state of South Dakota amidst the scenic Badlands and Black Hills region. More than 350 miles of marked and groomed trails await travelers seeking a journey through canyons, caves, forests and summit overlooks. Plenty of meadows for ideal powder riding surround the beaten path, with snowmobile-friendly pit stops scattered throughout. SnoWest Magazine and SuperTrax International ranked the Black Hills snowmobile trail system as one of the top ten places to ride. Check out trail conditions and more here. Spearfish Canyon is worthy of its own mention, despite it being just north of the aforementioned Black Hills region. In fact, sledders could easily make this their start or end point on a Black Hills tour. This spot has produced loyal fans who return each year for the scenery, world-class lodging and a glimpse of the filming locations for the 90’s film Dances with Wolves. In our research, Spearfish Canyon came up several times as the premier place in South Dakota to create your snowmobile adventure. You’ll find what you need to start planning here. North Dakota offers 13 trails of groomed terrain spanning more than 2,800 miles throughout the state. You’ll find locals drifting to their destination via sled, and travelers hitting the wide open wilderness. You can also glimpse another piece of Hollywood history by stopping at the home of the original wood chipper from the cult-classic movie Fargo. Check out a full trail list and riding conditions throughout the state here. Stay tuned for upcoming “Best-of” lists from the mountain regions and along the East coast. If you’re a snowmobile enthusiast, we want to hear from you. Tell us your favorite sledding spots anywhere in the country and what makes them so great. We’ll pick a couple favorites for a free AMSOIL beanie or bomber hat to help keep warm along your travels, wherever they may lead.